To the southeast of glorious, snow-capped Mt. Hood, in a secluded section of the national forest, is Elk Meadows. 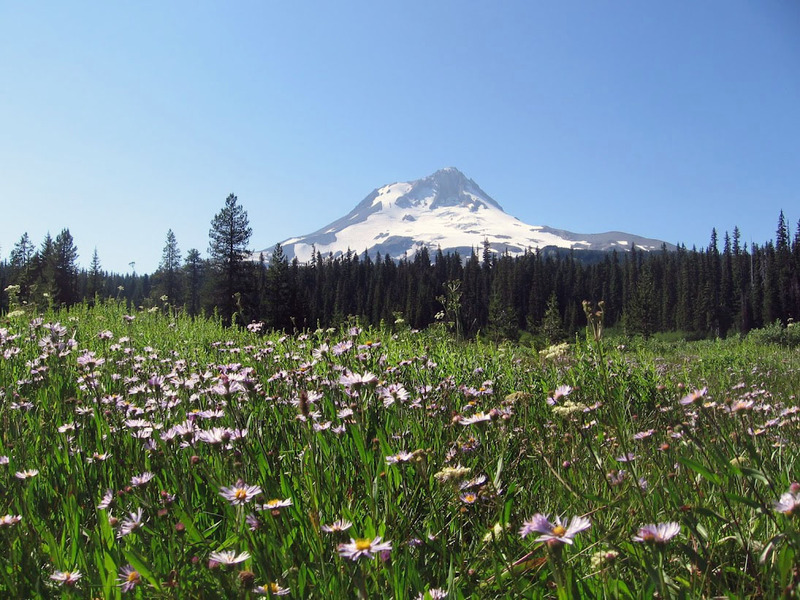 The region provides breathtaking views of the mountain and is home to some of the most satisfying summer hikes near the Portland area. Elk Meadows is a grassy, marshy, wooded clearing with striking views of Mt. Hood. This is the kind of hike that creates nostalgia – a yearning for the outdoors that comes from experiencing relaxed simplicity while snacking on toasted marsh mellows around a crackling campfire. The trail to Elk Meadows is mostly straightforward but adds just enough of a challenge to make the trip a satisfying adventure. There are plenty of camp locations around the perimeter of the meadow and their proximity allows you to feel like you’re on a private excursion out in the woods. Crystal clear skies make this a prime location for star gazing. If you’re lucky enough to secure the wooden shelter for your camp you will have an unobstructed view of Mt. Hood and a cozy cover for two hammocks or one large tent. Bonus: Cold Spring Creek runs through the meadows and trickles just a few yards away from this site. With that being said there are many excellent places to set up camp nearby. Very few people actually camp in the meadows as it can be quite marshy. The creek is an excellent water source if you have a transportable container to fill. It may look clear, but it’s highly recommended that you use some sort of water purification device to avoid bacteria and viruses. I was very pleased with the LifeStraw. It’s cheap, light weight, and easy to use with a Camelbak water bottle. For an all-in-one solution the LifeStraw water bottle integrates the straw into the water bottle itself. In case you lose cell service it is wise to have backup directions in the form of a printed map or a solid GPS device. The trailhead is only a short distance off of US Route 35. So the hardest aspect of the the drive is finding the turn off. Once you have turned off the main road on to gravel, look for the big yellow and brown TRAILHEAD sign. 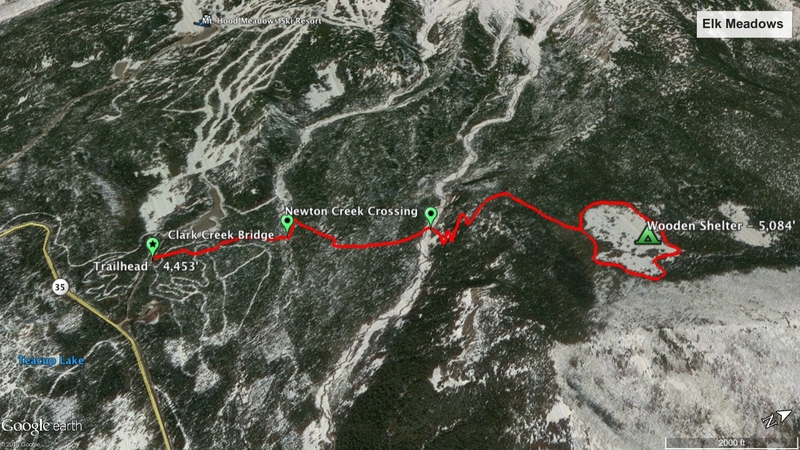 From the trailhead to Clark Creek bridge, the trail is straightforward and well-marked. The first bridge spanning Clark Creek is easily crossed with a sturdy pair of legs. Ford the creek if it’s low enough, however this can be dangerous due to the slippery nature of the large rocks in the creek. Another option is to check along the creek to see if someone has built a makeshift bridge out of fallen branches and other stray wood. Find a large fallen tree that bridges the creek and carefully walk across. Pictured: Newton Creek from safely atop of the log bridge. Crossing streams can be tricky – to prevent a bad situation from becoming worse, be sure to unclasp the waist and chest straps on your backpack. If you do fall down you want your pack to be as easy to remove as possible in order to avoid getting pinned or pulled under the water. On the other side of Newton Creek look for a rock cairn that marks the path up the hill. This is likely to be the most exhausting part of the trail for most hikers. A series of switchbacks weave up the hill and lead to the Elk Meadows trail loop. Don’t worry, by that point you’re almost there and the view will be worth it. This hike doesn’t require the best gear available. You can do it with the bare essentials. I didn’t have a headlamp, but I had hand flashlights. I didn’t have a water purifier, but I had a gallon of purified water. I didn’t starve and I still had an amazing time. Yes, the hike was more challenging, but that was part of the fun. Not even Coleman would support this level of gear inadequacy. 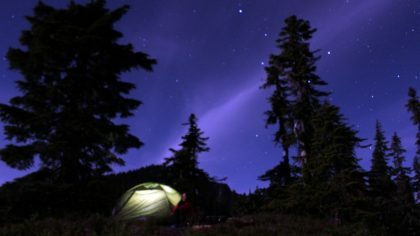 My first overnight trip to Elk Meadows took place in mid-August 2012 with ideal conditions – warm, dry, sunny, and clear. At this time my gear was as domestic as you can get. I recall pulling up to the trailhead to meet up with the group. I arrived equipped with a pair of comfy Brooks running shoes and cotton everything. To transport my gear I utilized a backpack that had survived two years of high school and four years of college. It was loaded with plenty of food, extra clothing, and toiletry items. Lacking space in the main compartment of the pack, I bungee strapped a massive sleeping bag and pillow to the exterior. Where was my tent and water, you ask? I brought that along in a super awesome faux-army duffle bag. Contents included: one gallon jug of water and one four-person off-brand tent. Wear a good pair of hiking boots if you’re planning on backpacking – For a day hike, a comfortable pair of trail running shoes will suffice. 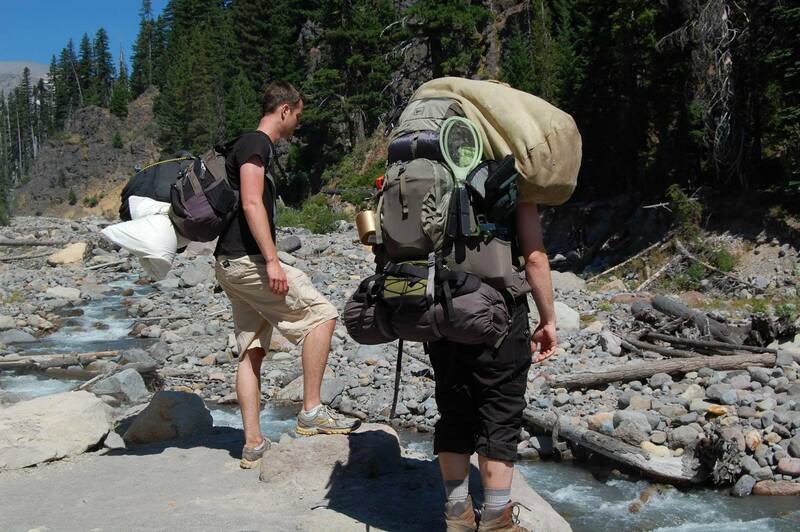 Comfortable gear always makes a hike more enjoyable – Invest in a backpack that fits your body. When you feel good you can hike farther and see more. Invest in a water purifying device – The last thing you want is to catch a debilitating virus in the middle of nowhere. Depending on where you camp, wood availability may vary – The area surrounding the shelter was sparse but 50 yards away were large, fallen branches. 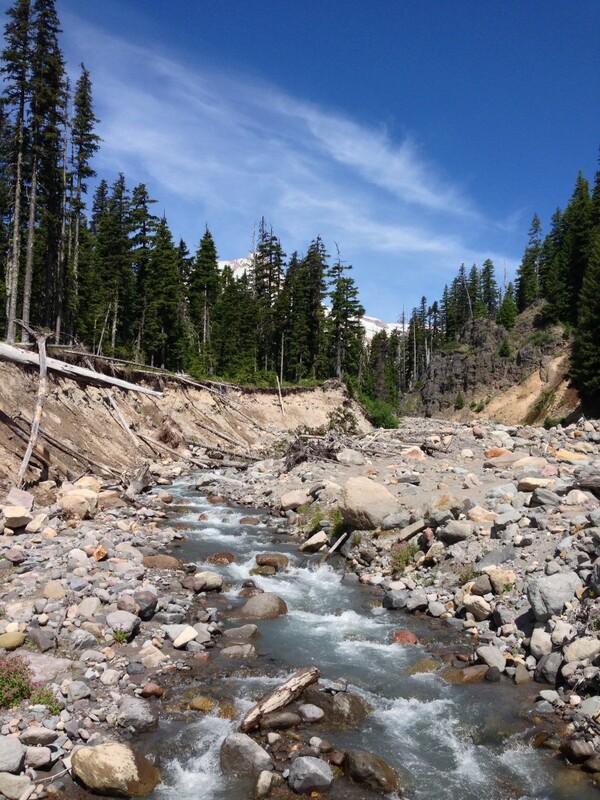 Porta-potty at trailhead – If you do need to relieve yourself in the wilderness be sure to do it at least 200 feet away from water sources and bury solid human waste 6-8 inches below ground.